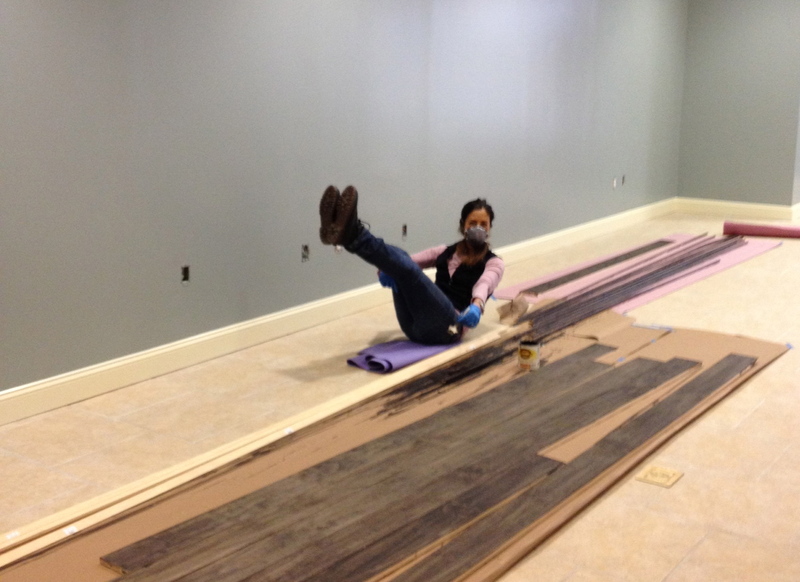 Carla installs the wood flooring while doing a teaser the entire time…..we knew she was amazing, but this takes it to a whole new level! Finished! 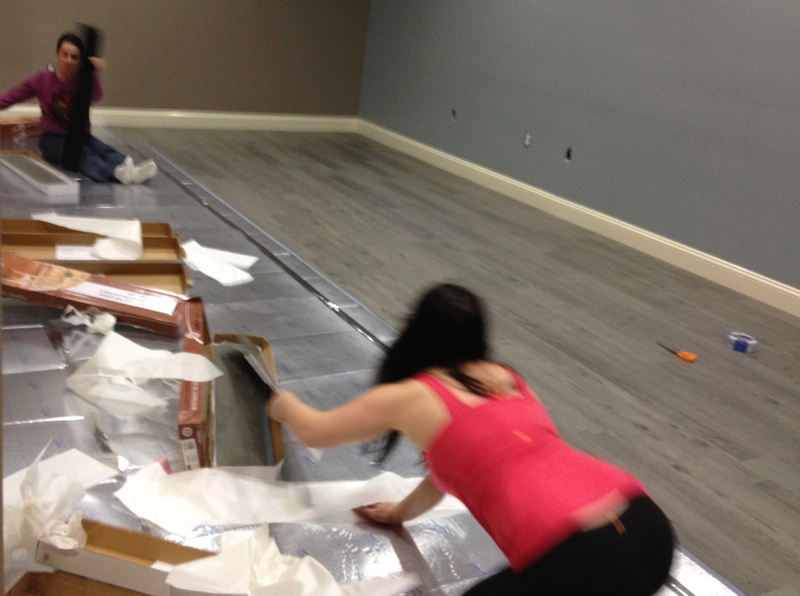 The girls are so excited because now they can roll out their mats and do a few quick exercises before they wrap it up! Count Down With Us as We Look Forward To Our Exciting Move!!! !